Kryolan Aqua Color Cake Eyeliner - A Best Cream Eye Liner Ever! A single pot will last for ages. 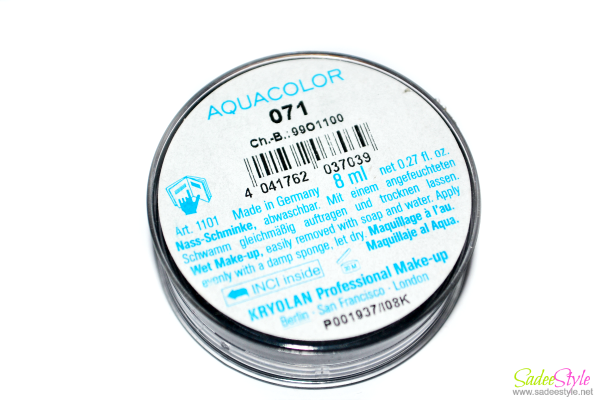 If you are looking for a best eyeliner which lasts for long than your very first option is a kryolan aqua color. I've been asked many times by followers about which eyeliner is best and most used in Pakistani salons. My only recommendation is a Kryolan Aqua eyeliner. I've been using it from the past 10 years and repurchased it many times. It's amazing in texture and formula is creamy smooth which doesn't smudge or fade. Comes with an amazing staying power, color payoff is great and easily adjustable. However, depth of a color can be adjust with multiple application/ swirls. Kryolan Aqua Color Cake Eyeliner is a must have eyeliner because of its versatility because it can be used as an eyeshadow base for smokey eye makeup. It has been my favorite eyeliner and I adore it because it's an eyeliner which doesn't dry after every 6 months. It gives perfect coverage but also stays for long without drying. It can be used wet or dry but I prefer it using with dry tip of brush. Kryolan aqua color cake eyeliner is most used and most recommended eyeliner by makeup experts and considered a best eyeliner for everyday use. 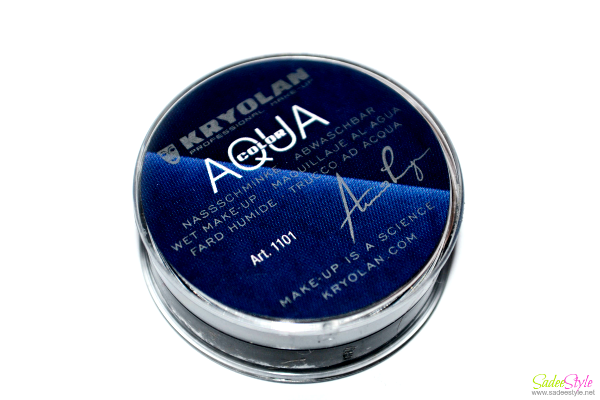 Kryolan aqua color cake eyeliners are creamy in texture and available in many colors and known for its precision and versatility. I'm a fan of 071 which is a jet black shade. Firstoff i will praise it's most affordable price ever. As comparing with other high end brands this eyeliner is amazing in price, texture and application is smooth. Only a thing I don't like about the eyeliner is its tacky plastic packaging, Otherwise its great in texture and quantity is 8ml which is enough for 3/4 years. This has been my favorite eyeliner so far ever since I have started using an eyeliner also work best on water line area without irritation. Ultra soft and creamy texture. Comes without a liner brush. 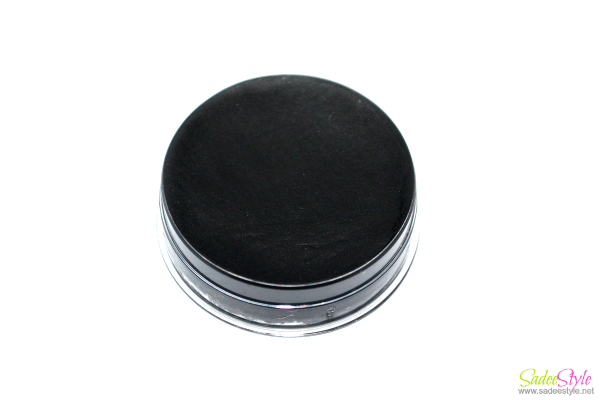 This one probably a best eyeliner, easily adjustable formula with amazingly staying power. I've used pencil, liquid and cake eyeliner but this one impressed me most. It has been most affordable and manageable formula Stays pretty well. My all time favorite and highly recommended. Available on all makeup stores across nationwide between 600/700 PKR. you must try it! It's amazing. Its amazing ... Please also share swatches . yeah i will share some soon! This was my first liner and i still have that pot with me :) It lasts ages no doubt. Great review. i will share some soon!